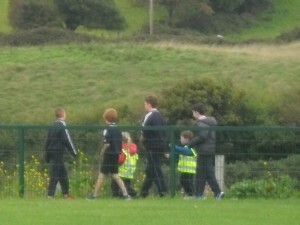 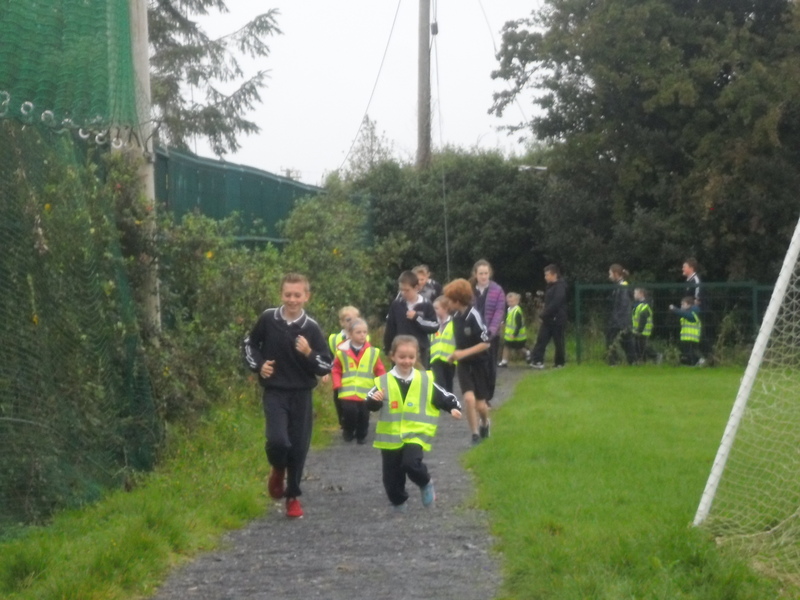 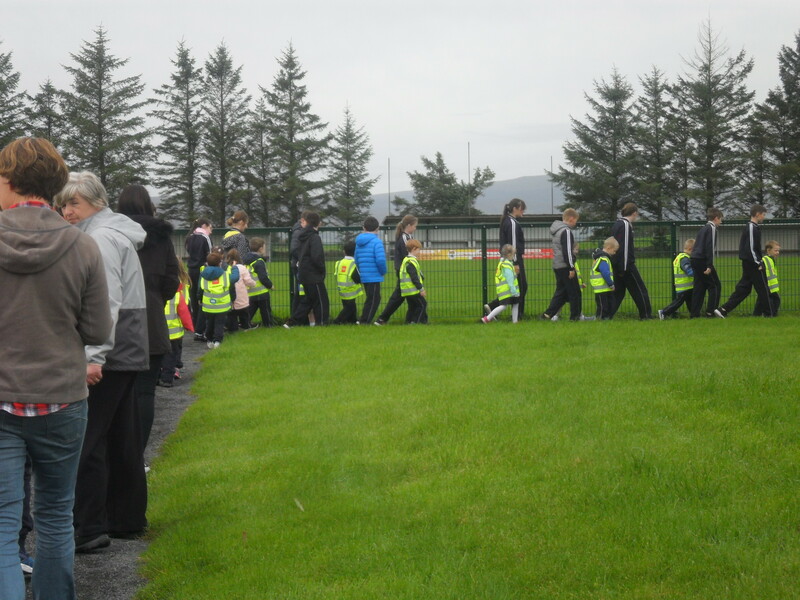 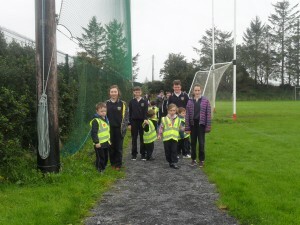 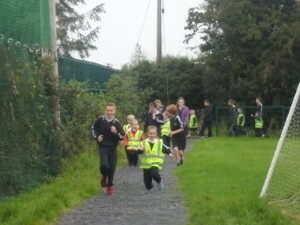 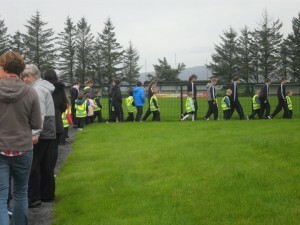 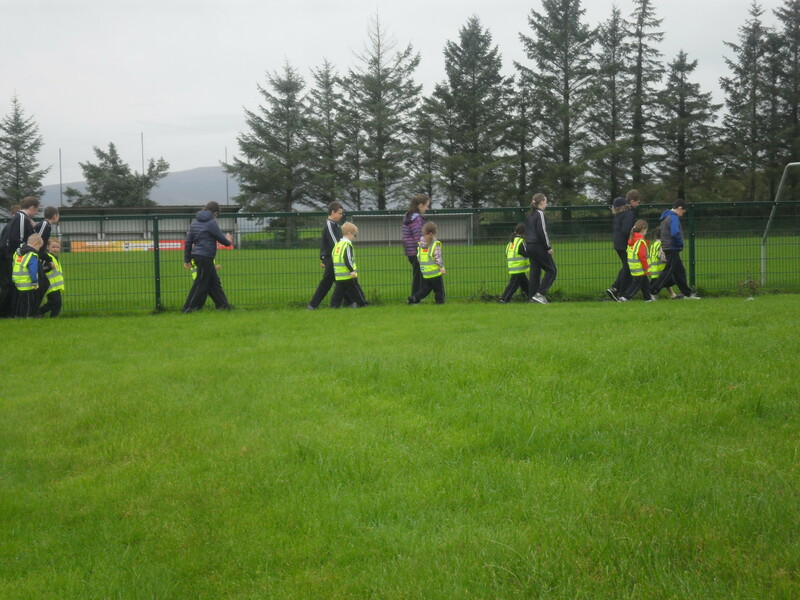 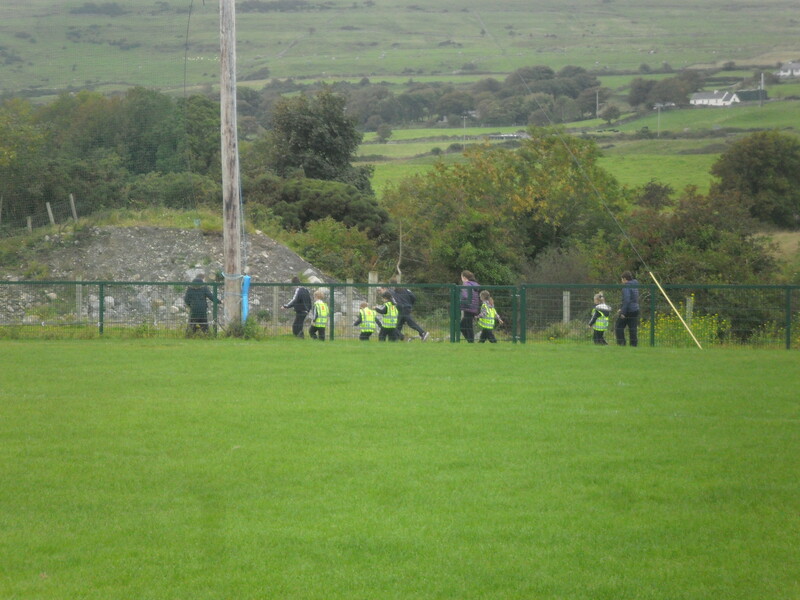 On Thursday we went for a walk on the track around the Gaelic pitch with our Buddies in 6th class and the children from the Glen. 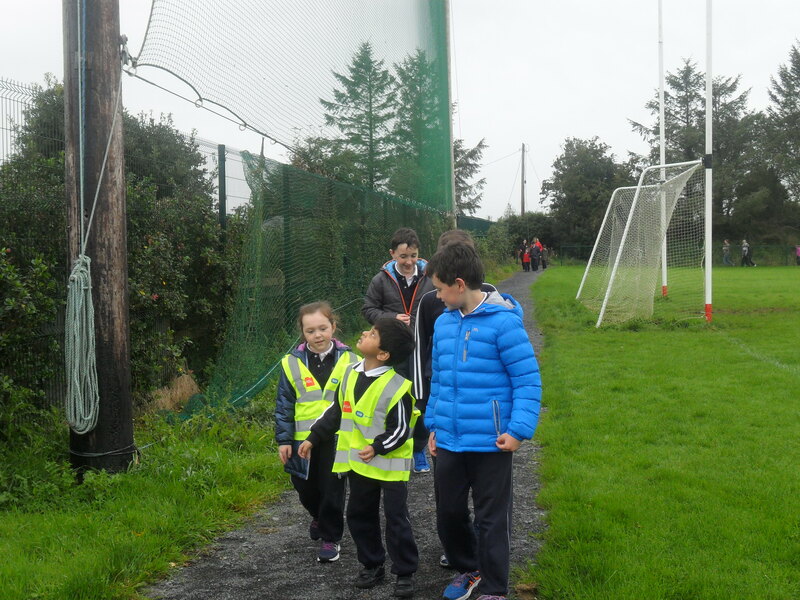 We had a great time chatting to our buddies as we walked and had to find out their name and favourite colour. 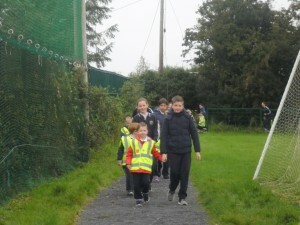 We wore our high vis vests.